Since Constanze Hallensleben, founder and chief editor of Creme Guides Berlin, had stayed at and written about the Hotel Kindli recently, it also made sense to pay the restaurant a visit. Although I must say, this was not my first visit and will certainly not be my last. 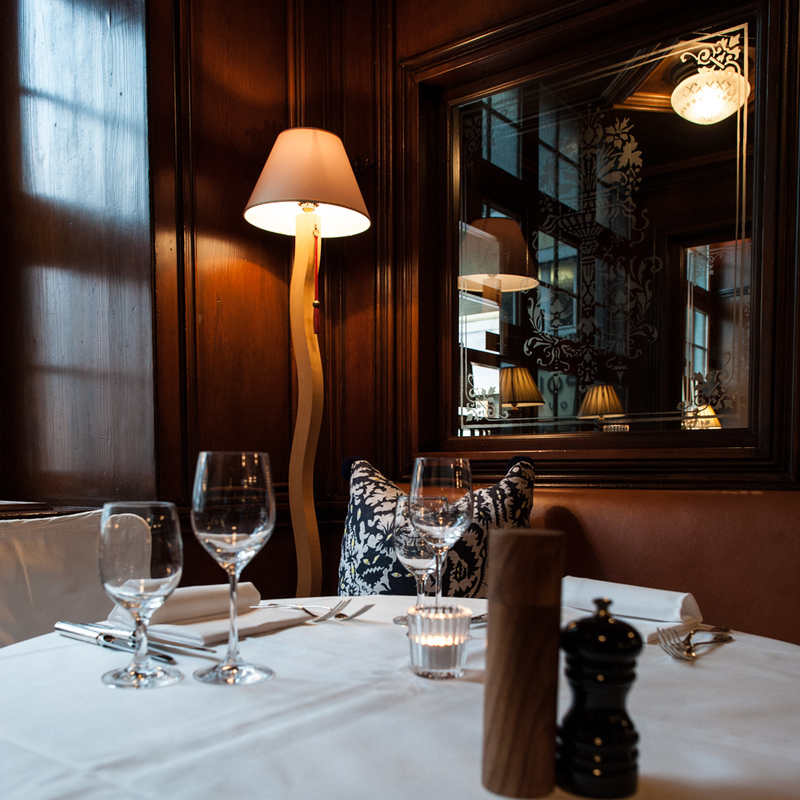 I had already been there years ago for business lunches, as well as evenings together with other couples, and again spending an enjoyable evening with the best friend. As I recall, the food was always top notch, quite accommodating and the ambience particularly charming. So I was full of anticipation to finally dine once again at Kindli. 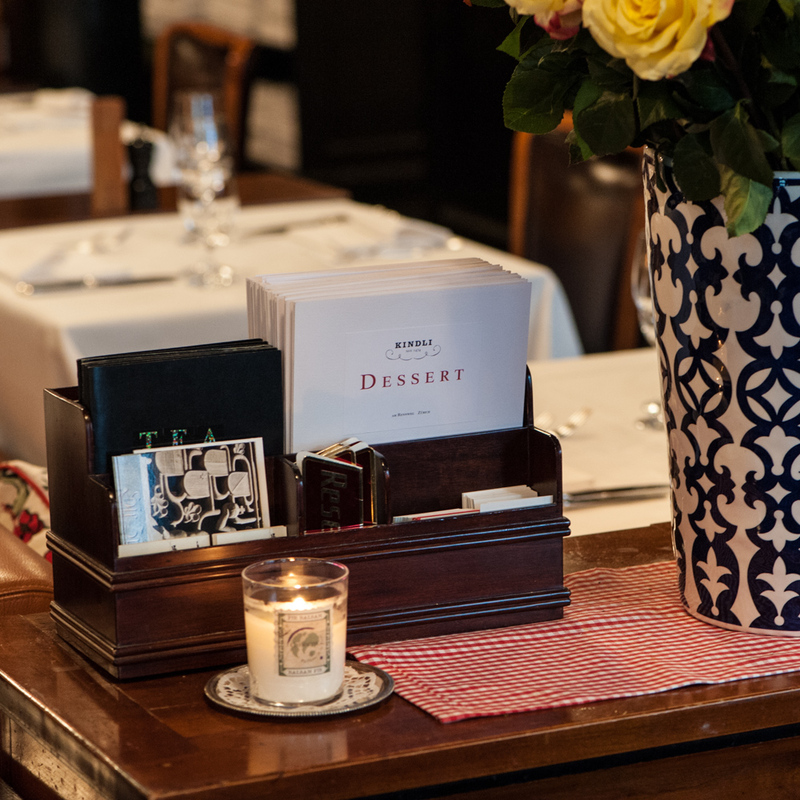 And without having a particular dish in mind, as I often do with restaurants that I love to visit time and again. Upon entering the restaurant, I had a good feeling that not much of the interior had changed, thankfully. 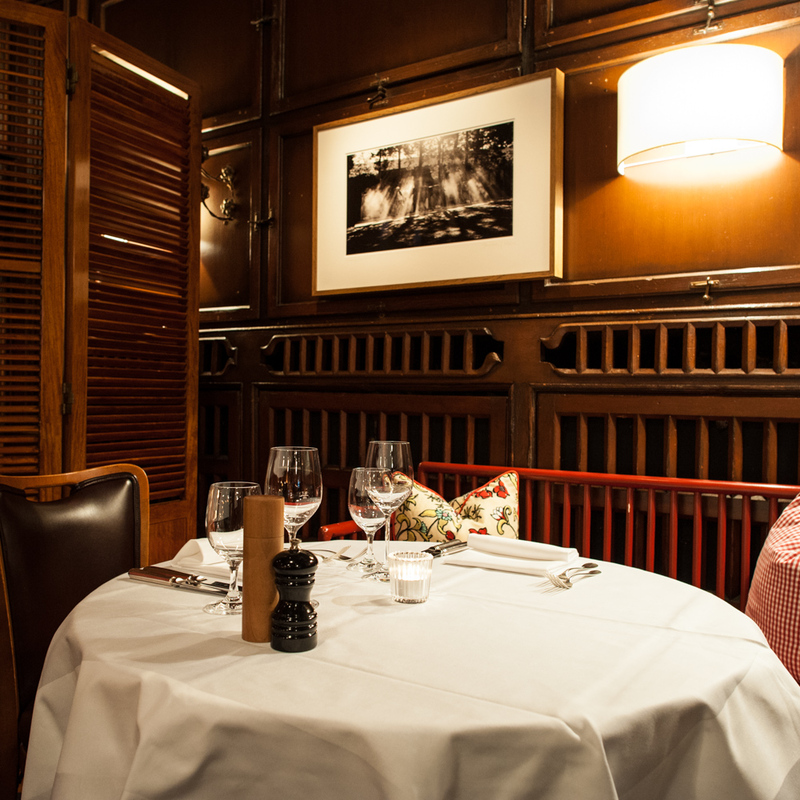 The beautiful room with its wood-paneled walls, leather chairs, and benches along with the classic white set tables, on which starched napkins and glossy polished silver lay ready. Here and there lay tasteful vases and pillows from the neighboring business 'En Soie'. As usual, one of the attentive waiters promptly greets us warmly, takes care of our jackets and assigns us to our table. 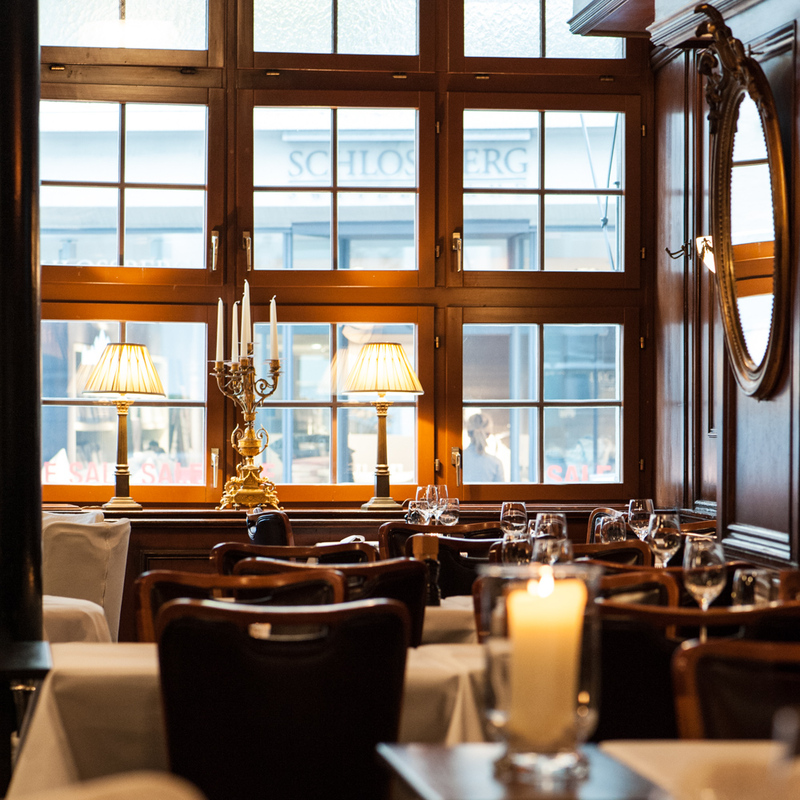 On the menu traditional and contemporary favorites such as the Viennese fried chicken with cucumber-potato salad, veal chops with saffron risotto, and veal liver or Zürcher Geschnetzeltes with Rösti can still be found. 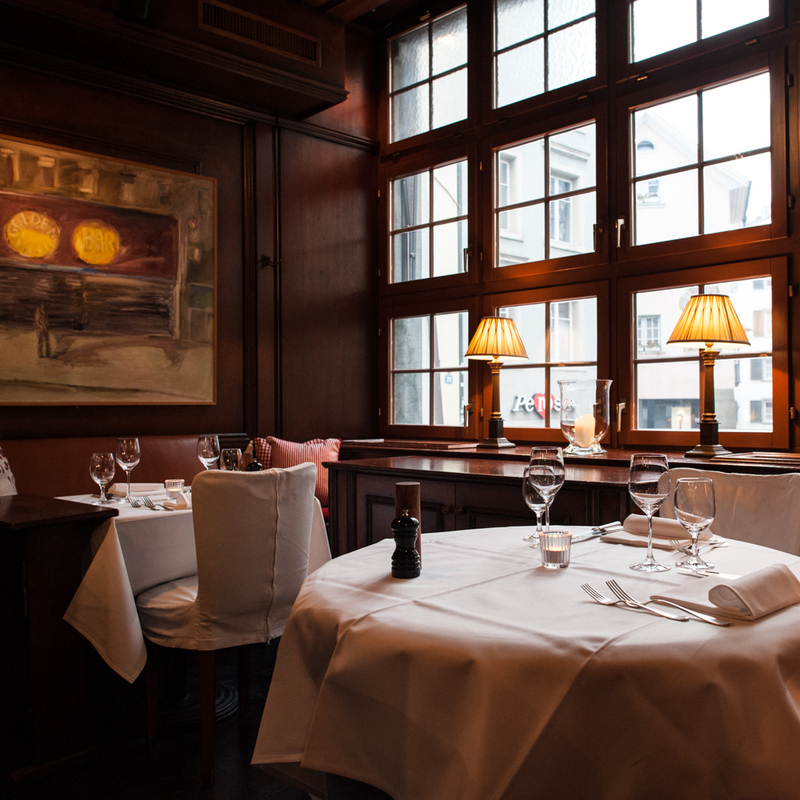 Since we are there for lunch, we opt for the local perch fillets with potatoes and the veal schnitzel with lemon-sauce and taglierini. As an appetizer, the lettuce "Coeur de Laitue" and a lamb's lettuce with soft free-range egg. Together with a glass of Chardonnay. And, as it so often shows, simplicity prevails and is brilliantly demonstrated by the kitchen, under the guidance of Robert Zenhäusern. Our salads, the fish and the veal cutlets were excellent. 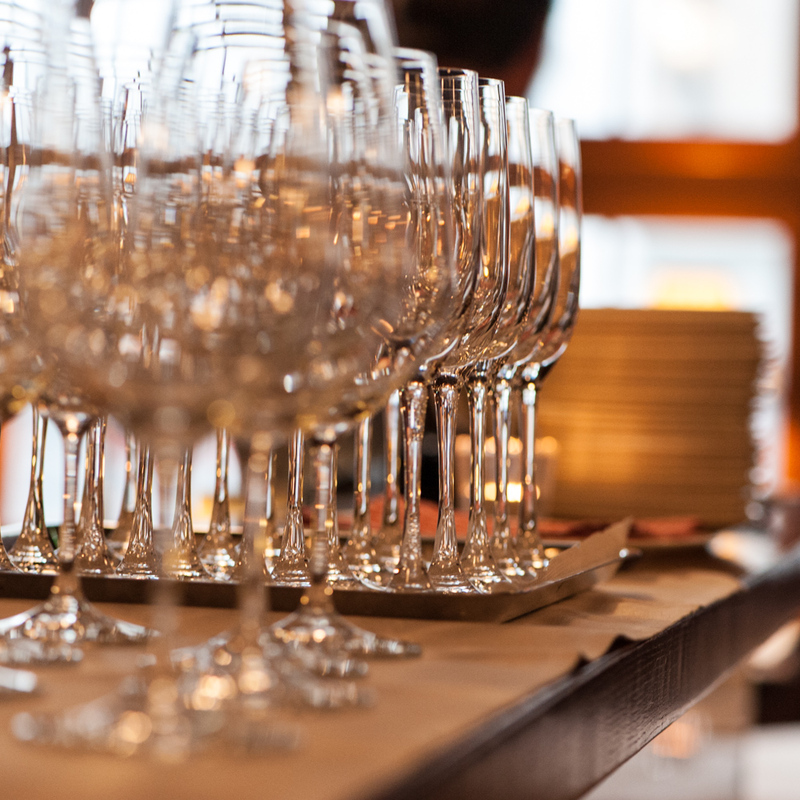 Classically prepared, fresh, and of excellent quality. I now regret a little that I did not have time to try one of the tempting desserts. Especially the chocolate mousse with crème de Gruyere and the Tarte Tatin with vanilla ice cream, which would have won me over. Next time! My gratifying conclusion: everything has remained the same. 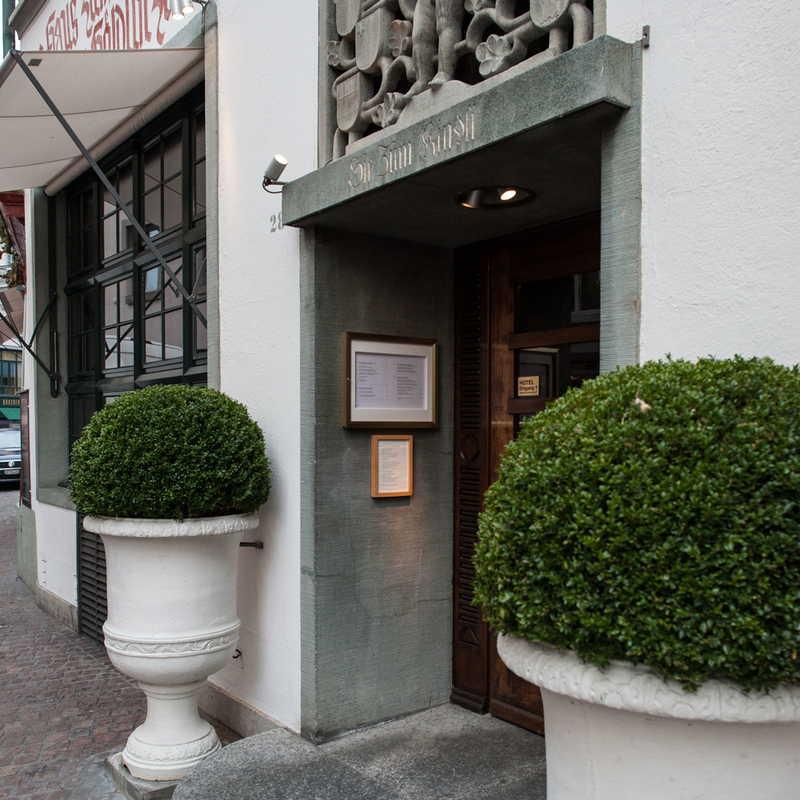 The Kindli restaurant is and remains one of the top addresses in Zurich.